Everyone who has ever been to Brazil has surely tried our famous pao de queijo (cheese breads), this is a really quick and easy way of baking them. These corn starch cookies are so light that they melt in your mouth. They are very popular in Brazil and they obtain their name from the Maizena cornstarch brand. The chimichurri mayo makes this sandwich wow in your mouth. Griddled Spiced Chicken and a Crunchy Flavour-packed Salad Make Fuss-free Preparation and Easy Eating. This Brazilian Cake with Equal Parts of Sweetened Condensed Milk and Milk Prepared and is Wonderfully Sweet and Juicy. 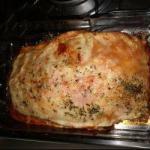 a Great Savory Cake with a Filling of Tomatoes and Palm Hearts. The Dough is Quickly Prepared in a Mixer. The Dough is as is Often the Case with Brazilian Cuisines Prepared in a Mixer, What Super Fast. 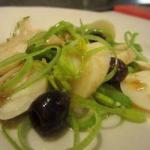 It is An Easy and Quick Angemachter Unusual Salad with Palm Hearts. in This Gluten-free Koko Maize Cakes are All Ingredients in the Blender. It Couldn't Be Easier. 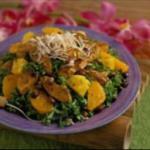 Kale is used in this salad makes it as pretty as it is flavorful. 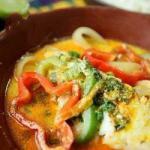 This Fish Stew Well Brazilian, is in the Region of the Northeast. Carries Oil Palm, and Can Be Done with Corvina or Mere. Vi in a List a Recipe for Brazilian Roll (rocambole) Using Mass of Pastel and I Decided to Make Using Those Fillings of Pastel Pie Chart of the Fair. Brazilian Roll (rocambole) of Loin Stuffed with Walnuts, Mushroom and Bacon. A Fantastic Recipe for His Christmas, New Year or Celebrations in General!